The girls and I played with our pasta maker today and made spinach noodles. Making homemade noodles was so much fun and wasn't that complicated. We sautéed them in a bit of garlic butter for lunch and used the leftovers for a dinner noodle salad. I loaded it with tofu, leftover roasted chicken pieces (for the non-vegetarians), sugar snap peas, shiitake mushrooms and dried cherries for a little tart flavor. 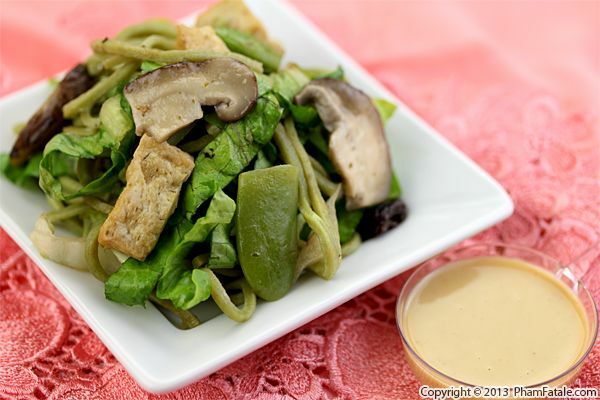 I dressed the noodle salad with miso and tahini vinaigrette. You could add tomatoes or red bell peppers for a pop of color but I thought the cherries were sufficient. This cold Asian-style noodle salad can be prepared hours in advance if the miso vinaigrette is kept on the side and mixed right before serving. 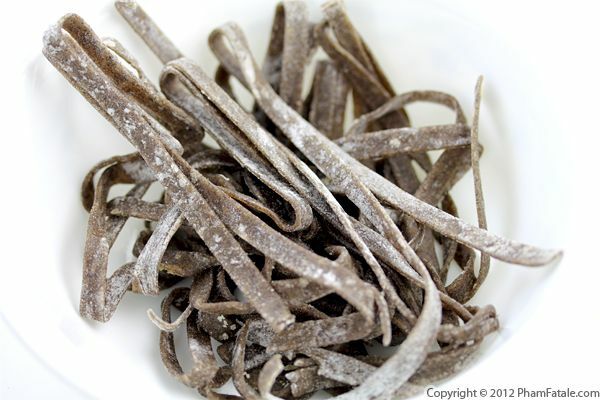 Buckwheat pasta is a healthy alternative to white flour pasta. The result is a bit denser and more chewy but paired with the right sauce, the taste is still very pleasant. Don't be scared by the dark color, which comes from the husk. I didn't use 100% buckwheat flour; I mixed with all-purpose flour to soften the taste of the noodles. Give it a try! 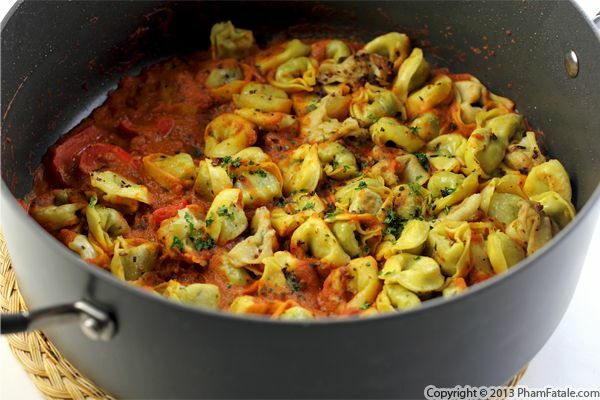 Making homemade pasta is such an easy task that a child could do it. The rule of thumb is to count 1 whole egg to 3½ ounces flour. The rest is a little salt, olive oil and water as necessary. 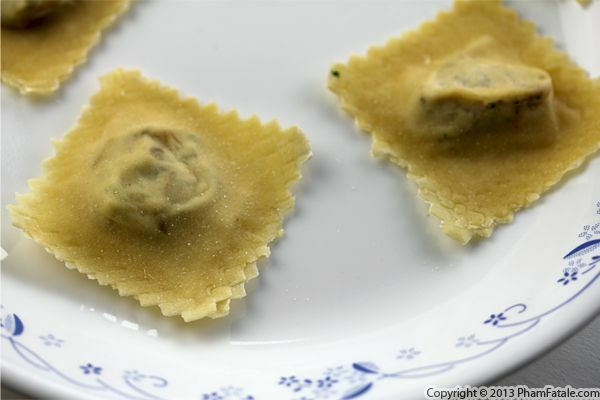 You could knead and roll the pasta dough with a rolling pin or use a pasta machine. This weekend we used the pasta attachments of the Kitchenaid and played around with different shapes and finally agreed on making spaghetti. It turned out beautifully and we let the pasta air dry. 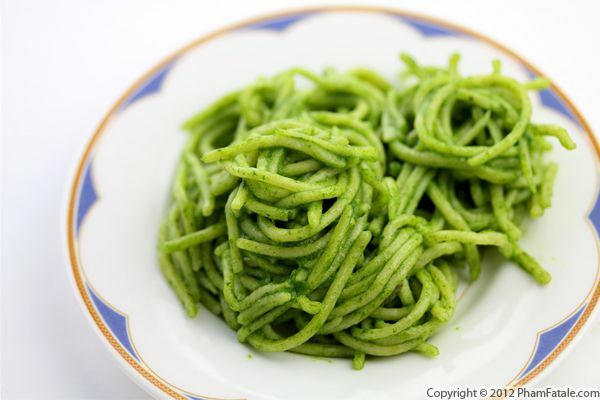 Boiled in salted water, it tasted wonderful with pesto.